The first aspect is “All modules in C”. CyberWorkBench supports a wide variety of circuits including control-intensive and data dominant circuits, so that all hardware modules can be designed with it. The other is “All processes in C”. 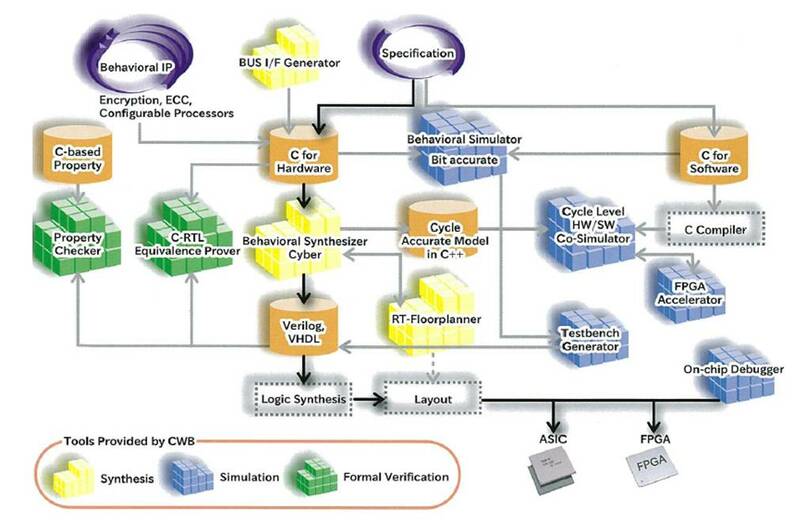 Designers can write, debug, simulate and verify their designs all in C when they use CyberWorkBench. By designing hardware in C, software and hardware designers can communicate in the same language, which makes System LSI design more effective.